Today’s Special Saturday was an Island adventure. After arriving at IYK, the children played outside before exercise and calming. When they opened their eyes, everyone was gone! But just next door was Keanu, the host of IYK Island. 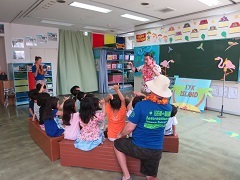 The children learned about ‘aloha’ and how to do the ‘shaka,’ as well as meet some of the Islanders who lived on the island. The Islanders taught us about some cool animals that live there, as well as talk about how they need the children’s help. 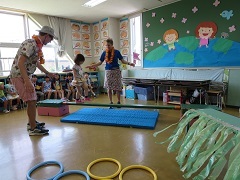 Once we split into groups and got our shell necklaces, the children followed their guides to different games to help the Islanders and get some pearls for their shells. 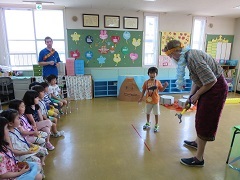 They also gathered all the animals before using them to find the King’s treasure box. Inside was a fun game that everyone played before having a picnic style lunch. It was such a fun day. Thanks for coming to IYK Island! Aloha!